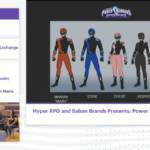 First Look: Power Rangers HyperForce Suit Designs! Twitch.TV has released some early designs for their upcoming RPG streaming series, Power Rangers HyperForce! The HyperForce team theme appears to be based on Greek Mythology, with each Ranger using the powers of a different mystic creature. Definitely a unique team, featuring the first FEMALE Black Ranger in the history of the Power Rangers franchise! Power Rangers HyperForce is currently scheduled to begin Tuesday, October 24 2017! Be sure to join in our Ongoing Discussion Thread to share your thoughts & fears about this exciting new project! Introducing Power Rangers HyperForce- A Twitch RPG Adventure! 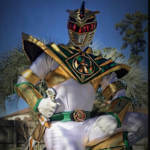 Today marks the beginning of a very unique new entry in the Power Rangers franchise! 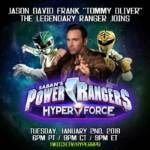 Twitch TV has officially announced their new RPG series- Power Rangers HyperForce! This series will be a live-stream table-top role-playing game, the first of its kind! 25 episodes are currently planned to air weekly in celebration of the Power Rangers’ 25th anniversary. The stakes have never been higher as the players learn what it means to be a Ranger in a live, tabletop RPG environment where anything can happen. Hyper RPG has developed a Twitch Extension that will allow viewers to select a Ranger that is permanently tied to the user’s unique ID. Viewers will be able to send their Ranger out on daily missions, boss battles, and raids, as well as trade cool loot with other players. 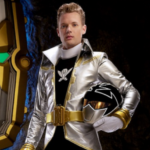 At least one guest star has also been confirmed: Erin Cahill (the Pink Time Force Ranger) will be on hand for the premiere episode. Power Rangers HyperForce is currently scheduled to begin on Tuesday, October 24 2017 and air from 6PM-9PM EST! Be sure to tune in to the Twitch TV RPG Channel for this amazing new series!